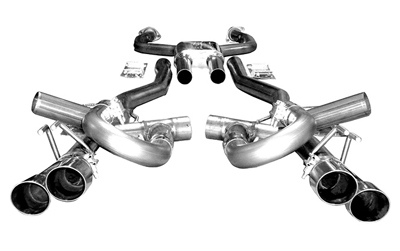 These Solo Perfromance Mach Shorty Balanced and Unbalanced Exhaust Kits will get your Pontiac G8 GT racing down the road with a sound you could never get tired of! 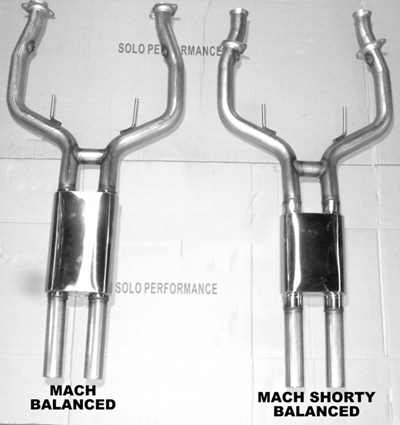 This Solo Performance Mach Shorty kit for your G8 GT is guaranteed to make it sound like a drag monster! If you are a car enthusiast looking for a loud and mean sound without all the annoying drone inside of the cabin then look no further. This exhaust kit is made for a huge exhaust note that can be heard for miles but is nice and quiet from the driver's seat. And the removable J-Pipes cancel out all unwanted high frequencies and other spots in the sound that can cause buzzing or drone. This system comes with a beautiful, staggered stainless steel tip setup that will keep heads turning as you rumble down the street. The sound at idle is ground shakingly low and lopey just like an American muscle car is supposed to sound. And when you get on it, the exhaust note immediately brings a smile to your face from the low, yet shouty, roar controlled by your right foot. 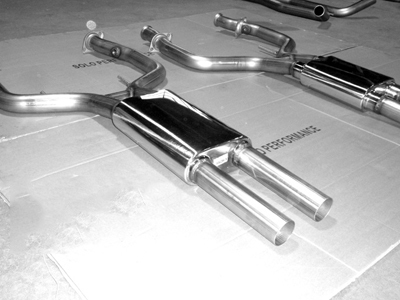 The unbalanced model of this exhaust kit is even louder if you're seeking a HUGE sound. So if you're looking for an exhaust system for your G8 GT and don't mind having it sound like a V8 street demon, contact ModBargains for an order before these Solo Performance axle back kits are all out! 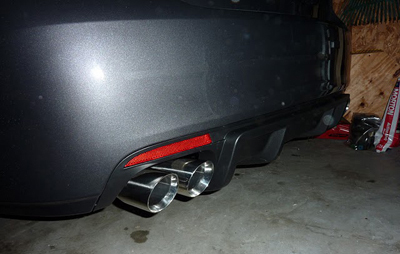 The balanced Mach Shorty exhaust provides a much more refined, but still loud, sound out of your Pontiac G8 GT. As for the unbalanced model, you get much more eardrum shattering sound, but you sacrifice a little bit of quality for that loudness. Both systems are amazing but probably for a different exhaust note seeker. For people who want that raw and untamed sound and don't care about a little bit of noise in the cabin, there is the unbalanced Mach Shorty. But for a person who still wants a mean sounding street machine that doesn't have as much drone and wants to have a normal conversation in their car on the freeway, then the balanced Mach Shorty is the way to go. 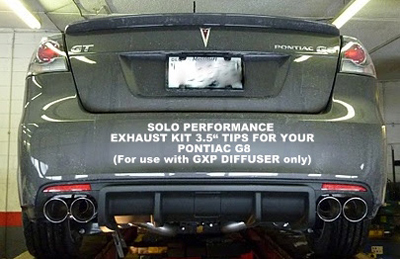 The Mach Shorty Exhaust Kit Brings The Monster Out Of Your G8 GT!!! Stainless Steel Inside And Out For That Flawless Shine That Lasts The Car's Life! Staggered Dual Tips Give It That Aggressive Look To Go Along With The Mean Sound!